"When we came to New York in 1965, we never expected that the Hare Krsna maha-mantra would be accepted in this country. Nonetheless, we invited people to our storefront to join in chanting the Hare Krsna mantra, and the Lord's holy name is so attractive that simply by coming to our storefront in New York, fortunate young people became Krsna conscious. Although this mission was started with insignificant capital, it is now going nicely. The spreading of the Hare Krsna maha-mantra in the West has become successful because the young people were not offenders. 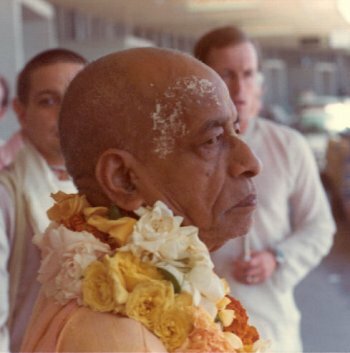 The youths who joined this movement were not very advanced as far as purity is concerned, nor were they very well educated in Vedic knowledge, but because they were not offenders, they could accept the importance of the Hare Krsna movement. We are now very happy to see that this movement is advancing more and more in the Western countries."